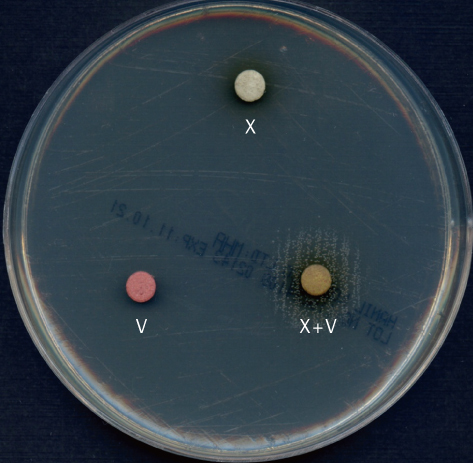 X and V Factor Disks are paper disks impregnated with X (hemin) and V (nicotinamide adenine dinucleotide – NAD) growth factors. They are used for the differentiation of Haemophilus species. Haemophilus influenzae require both X and V factor to grow while Haemophilus parainfluenzae requires V factor only for grow. Haemophilus ducreyi requires only X factor without need of V factor. 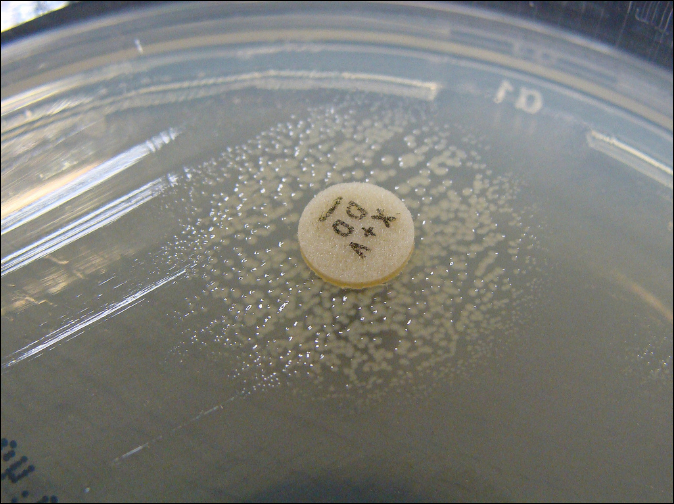 We usually use Mueller Hinton Agar for the disk test.